Integration of dynamic data such as well test, pressure, temperature and spinner data to assess reservoir performance and hence understand barriers, baffles and conduits. Evaluation of mud log records against fractured intervals. 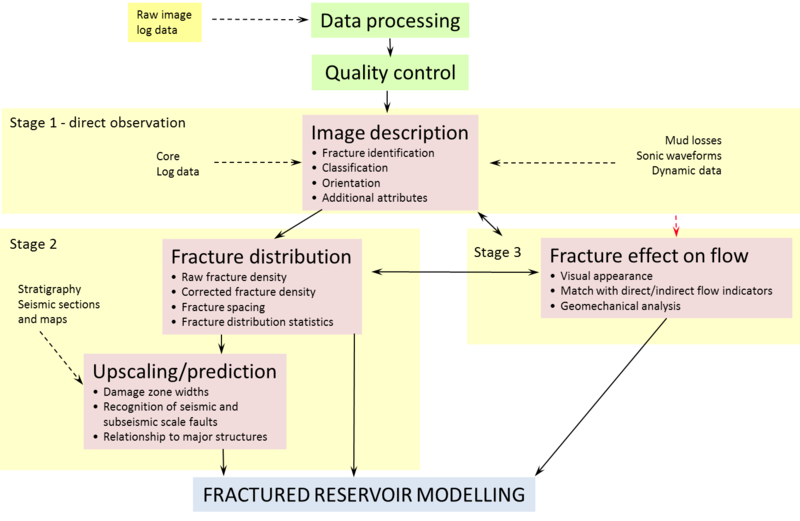 Modelling of critically stressed fractures using the present day in-situ stress field orientation.